Named after its defining river, the Lot shares its borders with the Limousin, Aquitaine and Auvergne regions. This historically rich area is known for its medieval architecture, especially in the capital of Cahors. In this neck of the woods, you’ll find traditional Quercy stone cottages and farmhouses for sale, as well as townhouses and charming homes with dovecotes – and they’re cheaper than properties in the Dordogne, too. Cahors is a five-hour train ride from Paris (on the Paris-Toulouse line), and just under an hour’s drive from Montauban, which is served by the TGV. Brive-Souillac Airport is also close by, and it’s possible to fly from London Stansted with Ryanair. Warm and mild, the weather in this area is not known for extremes. Summers are pleasantly hot at around 21°C with highs of 27°C, whilst in winter you’re looking at a range of 5-9°C, presenting ample opportunity to enjoy the great outdoors all year round. The Lot offers very good value for money and is more affordable than the neighbouring départements of Dordogne and Lot-et-Garonne. There is a strong rental market which makes it an ideal place to invest in property and overall pricing has risen as the area has become more sought-after. Pricing increases to the south of the Quercy region, particularly as you get closer to Toulouse. Property pricing can be more reasonable towards the smaller towns to the west like Montaigu-de-Quercy. For Quercy stone farmhouses, prices range from as little as €120,000 with renovation work up to €350,000 with converted letting gîtes. Small village homes or townhouses with a terrace or courtyard can start from as little as €100,000 upwards. Properties with character pigeonniers start from €150,000 upwards. 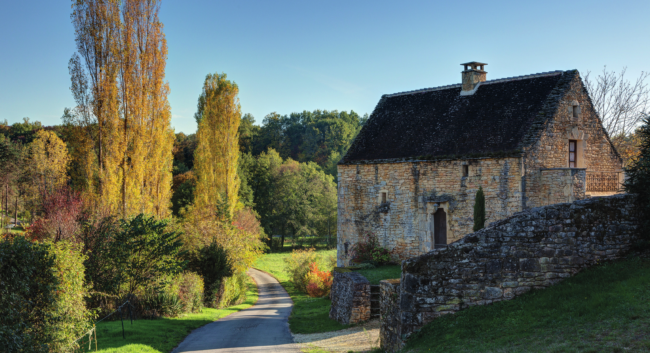 For some of the oldest structures in the region, make a beeline for Saint-Cirq-Lapopie. This gorgeous staggered town – awarded Plus Beaux Villages de France status – is a remarkable example of medieval architecture, with 13 listed historic buildings to its name. Once you’re done poking around the many nooks and crannies of this fascinating hillside, why not duck into the well-known caves of the region (the Grottes de Cougnac and Gouffre de Padirac are a great start), seek out truffle markets in Lalbenque or pay a visit to the wineries of Cahors? It would be rude not to. Christened after the two rivers coursing through its landscape, Lot-et-Garonne is a worthy rival of its popular neighbouring Dordogne département. This appetising slice of rural France boasts reasonably-priced properties from traditional farmhouses to stone cottages, clement weather all year round and a proud gastronomic offering, including the world-famous Agen prune and Marmande tomato. It’s fast becoming a favourite among British holidaymakers seeking a simple, quiet country escape. The département is relatively well positioned, sitting just under an hour and a half’s drive away from Bergerac and Toulouse-Blagnac airports. Its capital, Agen, is served by a train station with connections to Toulouse, Bordeaux and Périgueux. A mite warmer than its inland cousins, Lot-et-Garonne is a magnet for sun-starved British expats chasing the rural dream. Highs of around 27°C are often reached in the height of summer and mild lows of 9°C in the colder months. The surrounding countryside of Agen is relatively sparsely populated so for buyers prepared to roll up their sleeves there are still bargains to be found here. The style of property tends to change as you travel south across the département, from traditional farmhouses to turreted properties with character pigeonniers. This is a fertile area and agricultural land and/or smallholdings are still very affordable. There are lovely traditional farmhouses built in the halftimbered style – colombage – which usually range from €200,000 to €400,000. The landscape here is gloriously diverse, from limestone hills and pine forests in the north to the sprawling valleys and orchards for which this département is renowned. Outdoor activities abound, including golfing, hiking, cycling and horse riding – not to mention boating along the area’s eponymous waterways. Don’t miss the bastide town of Monflanquin (awarded Plus Beaux Villages de France) with its restaurants, markets and breathtaking views. 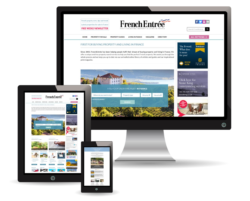 If you would like some assistance discovering this area of France and to find out more about what the property market has to offer please don’t hesitate to give us a call at +44 (0) 1225 463752 or email us at propertysales@frenchentree.com.